We are delighted to now be a member of the Federation of Small Businesses (FSB), a fantastic organisation whose mission is to help small UK businesses achieve their ambitions. Established 40 years ago, FSB are a non-profit making and non-party political organisations led by its members, for its members. Membership benefits include advice, financial expertise and support, plus a range of regional and national networking opportunities. Furthermore, FSB are the UK’s leading small business campaigner, focusing on being a powerful voice in government and delivering change which will help small/medium enterprises succeed and grow. We look forward to seeing the continued positive impact FSB are having on the small business community. 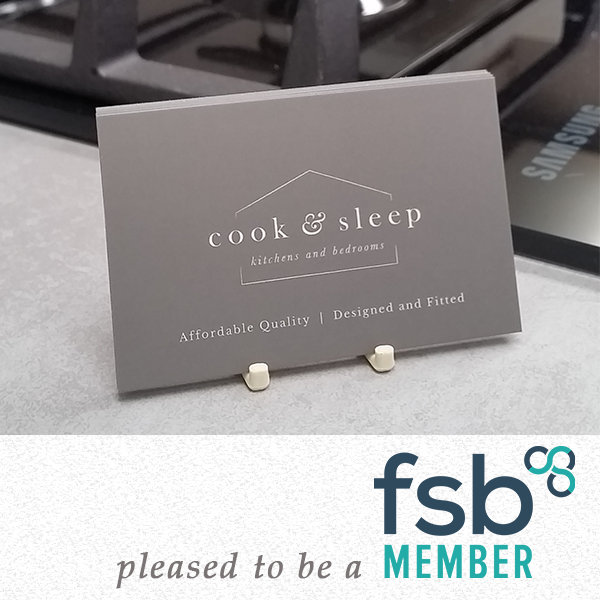 To keep up to date with Cook & Sleep news please follow us on Facebook. Browse our gallery for kitchen ideas & inspiration.